Despite all the recent rain, Princeton Landing is now reaching the high point of the spring season. Our Nature Guide Jon Latimer checks in with an update of what we can see in our surrounding area. "Plants are leafing out and bulbs are blooming. Most of our summer birds, such as jays, robins, catbirds and orioles, have returned and are establishing nests. In fact, the first broods of Canada Geese have already hatched. You can find parent birds herding up to 10 goslings near the canal or Lake Carnegie. "This is also peak season for bird species that are passing through, headed for breeding grounds farther north. Numerous species of warblers can be seen, although they are hard to tell apart. 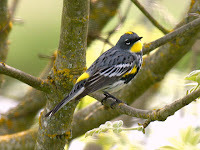 Most common are Yellow-rumped Warblers, small black and white birds with yellow patches on the sides of their chest and at the base of their tail. 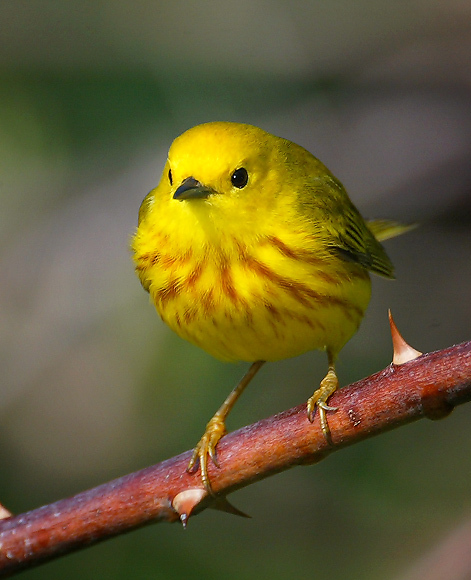 I've also seen Yellow Warblers, which are an orangish yellow with rusty streaks on their chest, and Palm Warblers, which are yellow with a chestnut cap on their head. They are easy to recognize because they bob their tail as they move through the trees looking for insects. The best place to see warblers is in the Institute Woods at the south end of Princeton. The traditional high point for seeing warblers is the weekend closest to May 15, which this year is the 16th and 17th. Good luck if you go — you will find many people on the trails eager to share their knowledge and their sightings."